For my school project I've decided to take some data from Wolfram. I have the dataset from Data Repository, and I want to create three BarCharts. 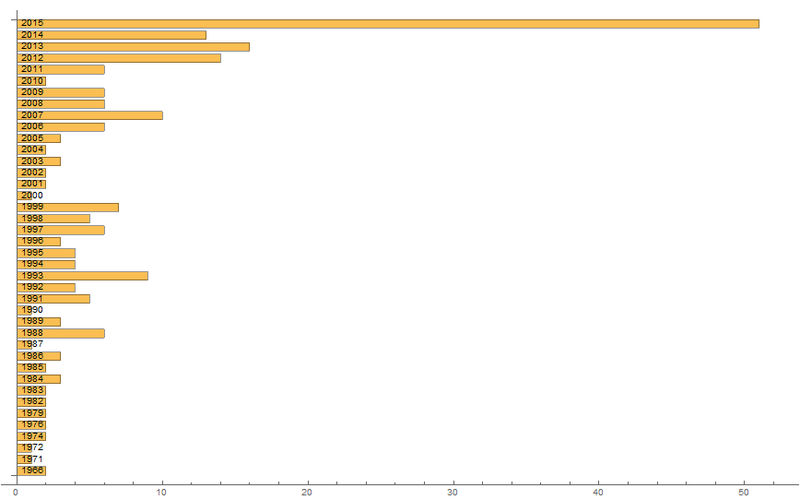 The first one shows the highest number of fatalities. It's done. The second should represent the the number of school shootings by year. The third one will represent the total number of school shooting victims by year. Can I get some help with the second and the third charts? First, use Select to find the school-related events, then CountsBy groups and counts the events for each year. 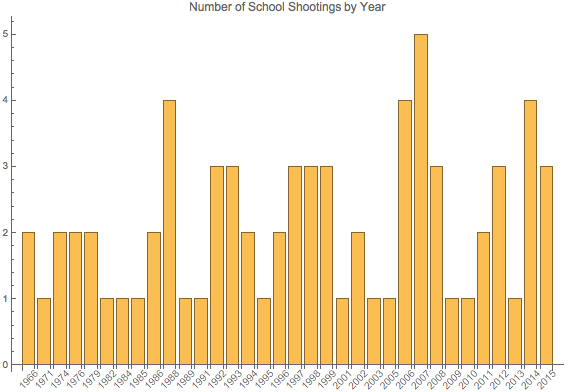 By way of comparison, the number of all mass shooting victims and the number of school shooting victims are easy to chart. 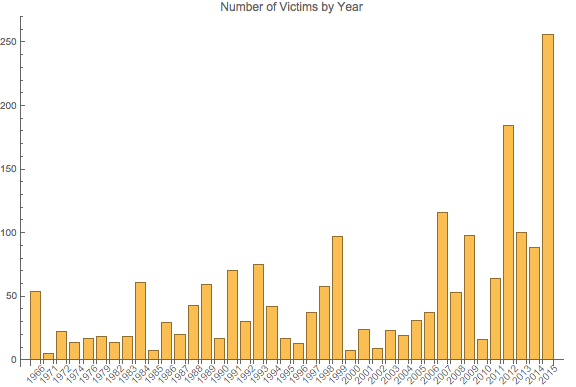 Use GroupBy to collect events by year, then Total adds up the number of victims for each year. 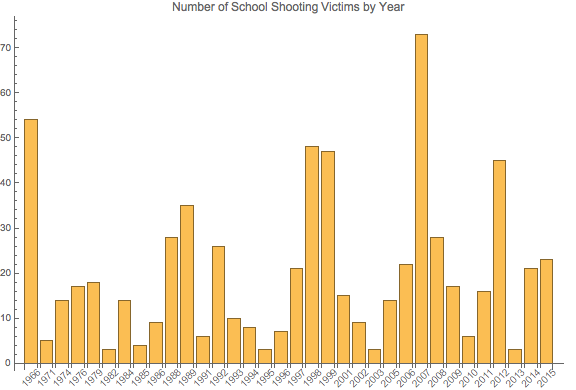 Redraw the total victims chart by selecting only the school-related events. Not the answer you're looking for? Browse other questions tagged dataset filtering curated-data charts or ask your own question. How to work with a Dataset? Manipulate, TabView, and Histograms. Can they all be combined?